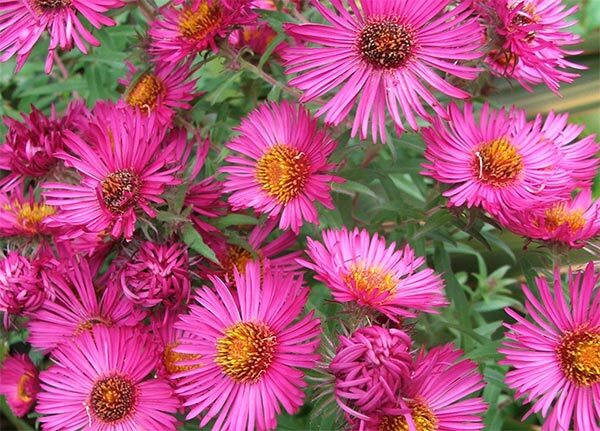 In Autumn my perennial asters bring beautiful colour into the flower garden. I grow only two different varieties, and really must get some more. Where did I put that mail order nursery catalogue? The small growing blue asters came here from a friend's garden. They are almost too well-behaved - I'd love them to bulk out more. What a beautiful blue! Flowering time is April, which is Autumn, coinciding with the Aconitums and the last-gasp blooming of the Delphiniums. My blue asters have the best blue of the three! Growing in the Elm Tree garden are some tall floppy asters with the richest pink flower colour. These were purchased from a mail order nursery, and they flop fearlessly over pink toned flaxes and the rose Reine des Violettes. By a happy coincidence the trio's colour combination is brilliant - even if I say so myself! 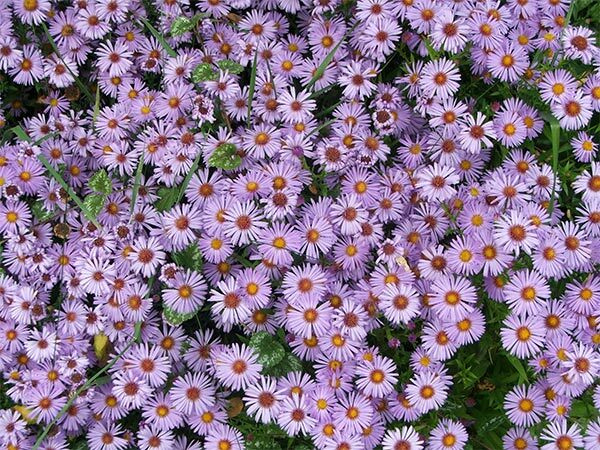 Sorry I am vague as to the actual aster varieties. Oops! Still, one doesn't need to know names to enjoy these colours. They provide such a great contrast against the predominately red and gold of the changing Autumn tree leaves.